Idaho’s network of backcountry trails leads hikers to and through some of our state’s most beautiful, hidden places. 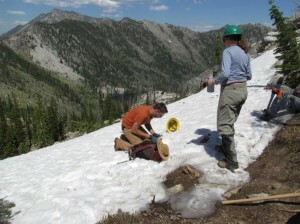 As one of the state’s fastest growing volunteer-driven organizations dedicated to clearing backcountry trails, Idaho Trails Association needs YOU to help us restore and maintain this invaluable legacy. That’s why, from November 15th to December 31st, we’re kicking off our 7th annual membership drive to get more people like you—and your friends and families—involved in preserving our state’s vast trail system. The Idaho Trails Association started in 2010. In our first year, we conducted two trail maintenance projects with volunteers contributing about 200 hours of their time working on the trails. Fast forward to 2016, and 200 volunteers contributed almost 4,000 hours to complete 17 projects, including five weeklong ‘work vacations.’ These projects are rich with Idaho heritage, featuring mule trains, traditional tools, and backcountry cooking. From 2015 to 2016 alone, the value of ITA’s volunteer labor to land managers climbed from $48,000 to over $128,000! Whether you want to get out on the trails or provide material support, we ask you to join, renew your membership, give a membership to someone you know cares about the backcountry—or give us a donation! Just go to www.IdahoTrailsAssociation.org for more information. No matter where you live in Idaho—or in the U.S. for that matter—you can do your part to help preserve our wild lands. 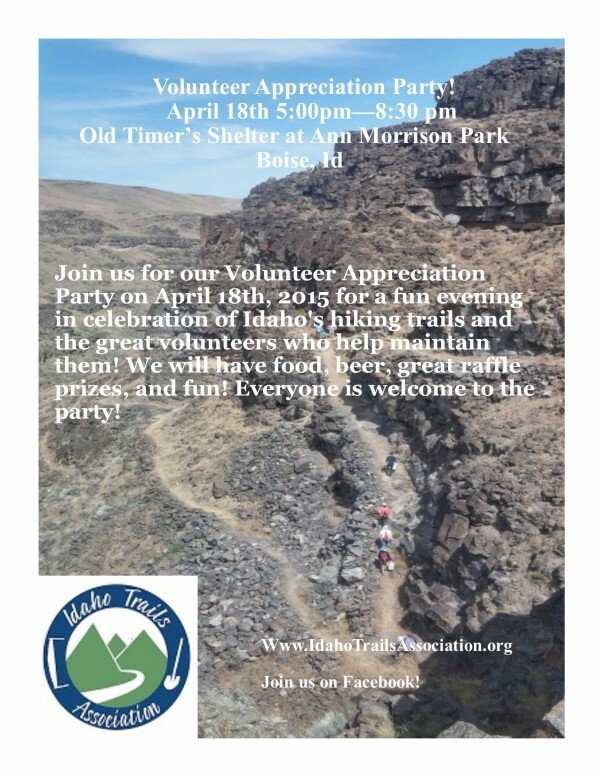 Join us for our Volunteer Appreciation Party on Saturday April 18th, 2015, to say thanks to all of our amazing Volunteers, Land Managers and sponsors who work so hard to make the Idaho Trails Association a success! Where: Older Timer’s Shelter at Ann Morrison park in Boise, Idaho! When: Saturday April 18th from 5:00 to 8:30! We will have food from In the Wild Chef and beer from Sockeye brewery. We will give a debrief on last year’s accomplishments and a review of all the exciting projects and new things going on this year! We have great raffle prizes ranging from a half day raft trip on the Payette river from Cascade Raft & Kayak, a starter climbing pass for two from Urban Ascent, Rideout technology Firefly bike grips, REI backpacks, a Jansport Heritage Telluride Backpack, prizes from Cascade Outfitters, Shu’s Idaho Running company, and many more great prizes. 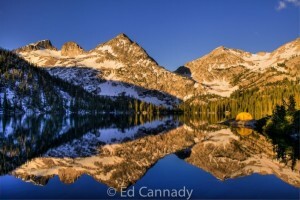 We will have an original one of a kind Canvas print by Ed Cannady on Auction….don’t miss out on this rare opportunity! All proceeds will go to help us maintain Idaho’s hiking trails! Come and see old friends and meet new ones! You don’t need to have participated in a work party in the past, just come and enjoy the camaraderie! Our first trail work party of 2015 was a huge success. We had over 30 volunteers eager to get outside on a gorgeous Saturday in January! We partnered with the Bruneau Field Office of the BLM to work on the Oolite Interpretive Trail in the Owyhees. Removing the old metal gate. We did some minor pruning and signed the 0.5 mile trail that leads to the mineral cliff deposits. We removed the old metal/barbed wire entrance gate and installed a really nice Juniper hiker maze entrance at the trailhead. We also added a new trailhead sign. The new trailhead sign and Juniper hiker entrance makes the trail more visible from the road and we gave the trail some much needed TLC. After all the work was done we hiked and explored this amazing and unusual area. Then we all relaxed a bit and enjoyed hot beverages, hot dogs and chili! Thank you to all our volunteers and our partners for making this a success! Nice work! Removing the old gate posts. Doing some much needed pruning. We highly recommend exploring the Oolite interpretive trail. This is an interesting area to stop along the Owyhee Uplands Backcountry Byway and it’s a good place for adults and youths to take a short hike, explore small rock arches, see rare plants, and tiny fossils. The trail is about an hour and a half drive from Boise. It is South of Mountain Home and Grandview, Idaho on the Mud Flat Road. From Boise take the Simco Exit and drive to highway 167 and on to Grandview. Then turn east on Highway 78 to the Mud Flat Turnoff where you will turn south and drive approx. 10 miles to the Shoofly-Oolite Trailhead, just past the Shoofly Cutoff road. Rock Arches in the cliffs. Nice view from the top of the cliffs. Our next trail work party is on March 28th we are doing some heavy trail pad maintenance on the Eckles Creek trail in Hell’s Canyon. If you are interested in volunteering please sign up here: Eckles Creek work party. The Eckles creek work party is almost full, so please don’t hesitate to sign up. The spots are going fast! We hope to see you there! 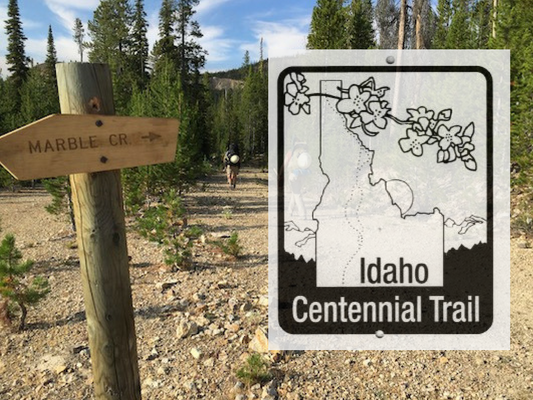 Idaho Trails Association promotes the continued enjoyment of Idaho’s hiking trails. The Idaho Trails Association (ITA) is a non-profit organization. Care-taking of Idaho’s hiking trails through stewardship projects, including trail construction and maintenance. Development of traditional trails maintenance skills. Understanding and appreciation, through education of Idaho’s unique trail resources. 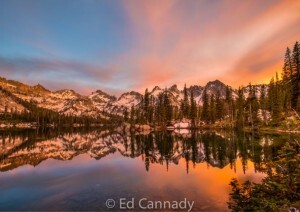 Preservation, protection and access to Idaho’s hiking trails through outreach and advocacy. In 2014 Idaho Trails Association completed seven projects on the National Forest and BLM system lands in Idaho. Our Agency sponsors were the Boise BLM-Bruneau Field Office, Payette, Boise, Sawtooth and Panhandle National Forests. Four of these projects were within designated Wilderness, and involved both trail work and stewardship activities and three were on high use non-motorized trails. The projects ranged from five volunteers in more remote and logistically challenging areas to fifty volunteers on the work days that were closer to large population bases. The Panhandle NF provided the Grouse Mountain Trail project where the ITA crew constructed an eighteen foot long bridge, three hundred feet of newly constructed trail for the bridge approaches, eighteen feet of puncheon and removal of four large boulders from the trail tread. This project was funded through REI and ITA fund raising activities and membership. The Sawtooth NF, Alice-Toxaway project was a highlight of the season. 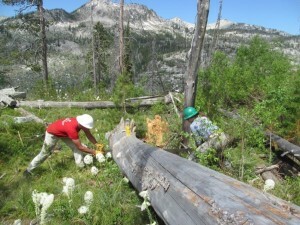 Six ITA volunteers spent five days in the Sawtooth Wilderness clearing over thirty miles of trail on one of the most popular loops in the Wilderness. The ITA crew also worked on cleaning camps and naturalizing overused sites. This week long session was funded through a grant from the Sawtooth Society. The Boise BLM Bruneau Field Office has been a great partner to work with in the Owyhee Canyonlands and Wilderness areas. They have provided early and late season opportunities for volunteers to get out and help. We have removed wire fence, decommissioned roads and built new trail along with reconstructing existing trails in amazing country is always a big draw for volunteers. 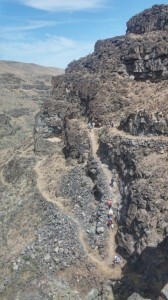 Roberson Trail in the Owyhee Wilderness has become an annual event on National Trails Day for ITA. This project brings in large numbers of volunteers who work at multiple projects to help with the stewardship of this area. This Owyhee project was been funded through grants from REI. The Hum Lake Trail on the Payette NF was the inaugural ITA project in 2010. We continued to work on this trail as an overnight project working to help reopen the North Fork of Lick Creek trail. We have added day work parties to this trail as it has become a very popular volunteer opportunity. This project is funded by REI and the USFS and volunteer pack support from BD Recreation Consultants. The National Public Lands Day brought out over 50 volunteers to do stewardship work in and outside the Owyhee Wilderness. 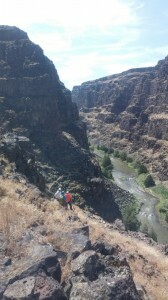 During this project in the Owyhee Canyonlands the skills of future trail bosses were discovered. 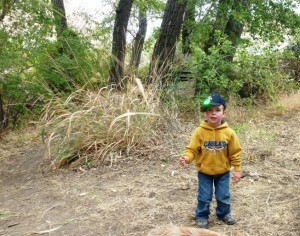 This young man was part of a “Toddler Brigade” who helped remove baseball sized rocks from the trail tread. He and 6 other youth were supervised by two parents who instructed the brigade in how to remove rocks without hurting or throwing them at anyone. The brigade was a success! It was hard to get past the group at the end of the day as everyone had to hear and see what a great job they did, and they did do a great job! The classic one day work party: As ITA grows we are getting more requests from the agencies for single day work parties to work on trails close to population hubs. These work parties have been funded by REI and the land management agencies, however future funding opportunities need to be pursued. Large volunteer projects provide challenges because of the need to ensure ITA has enough qualified crew leads to manage the volunteers are available. Recruiting other passionate crew leaders will be important for future expansion and success. 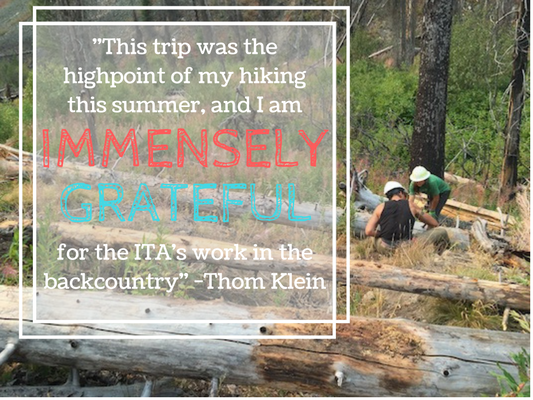 ITA prides itself in teaching safety and completing the best quality trail work while also working towards creating supporters and stewards of our public lands. We may not knock out a project as fast as a contractor or force account crew, but the quality should be the same, and the potential of creating lifelong supporters of public lands is great. This goal is important for future partner relationships. ITA is a hiking, trail advocacy and stewardship group. We formed to provide the voice for hikers throughout the state. Our role is to get work done and to develop strong stewards of the land who are informed and educated enough to provide support to land management agencies and continuing this goal is important. ITA is proud to teach and promote traditional skills while accomplishing trail work. We feel it is a needed and necessary way to safely engage the public into volunteer stewardship to help our public lands. ITA promotes these traditional skills to provide the training and understanding that work can be accomplished safely and efficiently in this manner. ITA has a goal to safely engage the public in stewardship activities, by doing this we hope to build a more accepting and supportive public who will enjoy recreating and participating in the future of our public lands. To REI, Sawtooth Society, Agency Partners, volunteers, members, contributors, Board of Directors and Advisory Board for their time, energy, leadership and monetary contributions. Become a Member of ITA Today! Support the work of our volunteers! Incorporated in 2010, our mission is to promote the continued enjoyment of Idaho’s hiking trails. 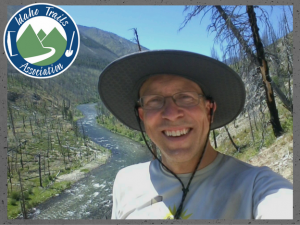 We work to accomplish our mission through volunteer trail work, education about Idaho’s unique trail resources, and professional advocacy. This year our goal is to maintain more than 105 miles of hiking trails with the help of 95 volunteers. On National Trails Day alone, 16 volunteers helped maintain a hiking trail in the Bruneau-Jarbidge Wilderness . In mid July, volunteers maintained 17 miles of the Pistol Creek Trail near Cascade, clearing fallen trees and brush. With six more volunteer trail projects scheduled this year, we’re on our way to reaching our goal. These projects would not be possible without the work of dedicated volunteers and the financial support of our members. We want to recruit as many new members as we have volunteers – 95. ITA offers affordable membership rates, starting at $15 for students of public or private institutions. Your contribution will help keep Idaho’s hiking trails safe, sustainable, and enjoyable. If you are already a volunteer or member, we thank you and hope that you will invite a friend to join with us. Summer is a great time to renew your membership or become a new member!